Nottingham Forest bowed out of the Championship play-off race courtesy of two embarrassing defeats, which prompt me to say the following; give the youngsters a run out. The Reds capitulated at relegation threatened Rotherham before being schooled in the second half by Sheffield Wednesday. They say it’s the hope that kills you and they, whoever they are, are one hundred percent correct. 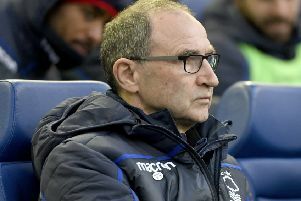 Despite somehow being within touching distance of the play offs since taking charge, Martin O’Neill hasn’t managed to turn the screw and elevate his troops into the top six. There is a mixture of reasons why to be fair, poor refereeing, poor performances and of course injuries have blocked the promotion path of late. 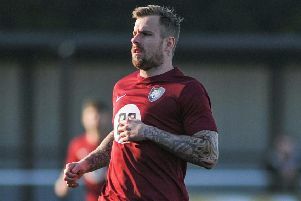 Many have taken to social media to highlight the style of football being enforced by the manager, saying that it’s outdated and lacking creativity. I alluded to this last week when I said that points took preference over performances at this stage of the season. However, looking back upon the last five Forest games, they have not played well in any of them. Again, as I said in my last piece, it doesn’t matter as long as you’re winning; but we’re not! Rather than dissect those performances with a fine tooth comb I prefer to look at the remaining five games and see how the club can put them to good use. With nothing to play for (please don’t tell me that winning all five matches could sneak us into the play offs) I believe that Nottingham Forest should use them as a trial period for our budding youngsters. It was great to see Arvin Appiah get his first league start last Tuesday, in my opinion, he should now be a permanent fixture until season’s end. I didn’t feel he was physically ready for the cut and thrust of the Championship whilst promotion was a viable target, but the pressure is off, and he can showcase his talent at will. The same opportunity could then be available to a handful of the Under 23 players such as Tyrese Fornah and Brennan Johnson. A couple of second half run outs or even a full ninety wouldn’t do any harm for sure at this stage of the season. Again, under normal Championship conditions I’d say it was too early for their introduction but there is literally nothing to lose right now. Whether or not the return of Virgil Gomis would be possible I don’t know, he hasn’t started for Notts County in their last five games. Given their current predicament, it would suggest that he may have a part to play in their league survival, if only from the bench. A shame really, because this would be an ideal opportunity for him in the first team also. As I’ve said since he arrived at the club, I’ll reserve my judgment upon our current manager until the final kick of the season. Although, if you peruse social media it seems the masses have already given their verdict. The season can not end soon enough for many Nottingham Forest supporters and if I’m honest I feel the same way too. I take solace from the improvements off the field and pray like everyone else that they are replicated on it next season. But, in the meantime we still have 450 minutes of football to play, so throw in the kids because there’s nothing to lose by doing so.